Clarissa Rayward heads up Brisbane Family Law Centre and is an Accredited Specialist in Family Law. Clarissa has practiced exclusively in the area of family law since her admission to the profession in 2003. Clarissa offers a unique approach to family law matters focusing on out of Court resolution. She is passionate about education and in 2013 launched her Blog- ‘The Happy Family Lawyer” sharing her knowledge on separation and divorce to assist families at this difficult time. 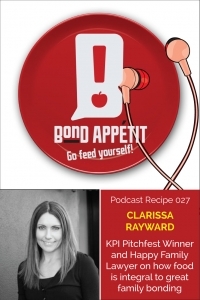 Clarissa is also the author of the book “Splitsville- How to Separate, Stay out of Court and Stay Friends” which is due for publication in September 2014. Clarissa was a finalist in the 2012 and 2013 Brisbane Young Entrepreneur of the Year Awards established by the Brisbane Business News where her unique business skills were recognised and rewarded. In 2014 Clarissa was also named among the leading Family Lawyers in Queensland by the Doyle’s Guide to the Australian Legal Profession. She also recently won the Key Person of Influence Brisbane Pitchfest 2014, and I was lucky to witness her brilliance. In November 2010 Clarissa launched her second business venture, Ma Belle Amie Coffee & Curiosities – a cafe and gift store located next to the Brisbane Family Law Centre office. 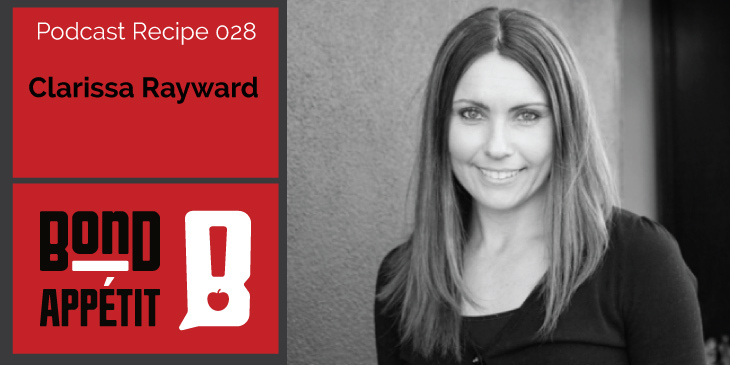 She talks to me about her food influences, what she learned when she got into the food industry. Birthday Cakes. Clarissa’s mum used to make the beautiful Women’s Weekly Birthday Cakes. Spaghetti is her favourite meal growing up and is still one of her favourites today. Clarissa is a runner and has always loved the idea of exercise regular. Get a husband and never complain. Make a phone call, own a cafe, or, get a personal chef. One of the biggest learning she learned from stocking pre-made cakes was that it didn’t work in her cafe. So, to reduce wastage they make their own cakes in-house. Something Chocolate, Could also be sticky date pudding. A whole bunch of dessert generally chocolate infused. Ronsely’s getting deep! (I’m loving it). As a victim of a horrific divorce (my parents) and a partner who experienced the same thing I have taken on the mentality of Clarissa and am grateful people like her exist. I also use food as a bond wiht my friends and family so its something I will put the utmost importance on when I eventually have my own family. Thanks Bec. It is lovely to hear your thoughts. Family and friends and food-3 amazing parts of all of our lives. I am excited about going to KPI after this interview . Clarissa has a clear why which is fantastic. Children will be blessed to have Clarissa in their corner. Great podcast Ronsley and Clarissa. Great Rapport and love the interaction. Knowing both Ronsley and Clarissa it was great to hear your stories. Love the stories that show the synergies between food and relationships. So easy to listen to. What a great pod cast – perfect sound and two speakers that were a joy to listen to. I’m a little more inspired to put more emphasis into good conversations rounds a table. Thanks for sharing. Thanks Drew. What do you do?